Life Sciences are a category encompassing the wide range of industries related to biological sciences. By and large the life sciences industry is related to human healthcare, including pharmaceuticals, diagnosis, healthcare facilities, medical devices and policy making. 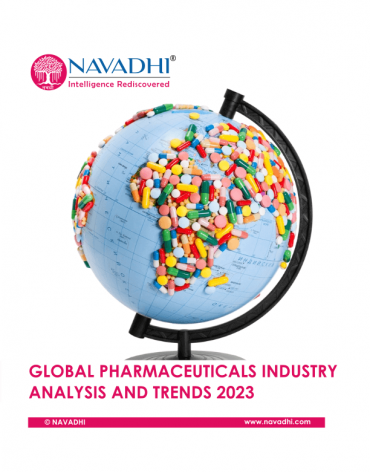 Global pharmaceutical industry will be worth USD 1.57 trillion by 2023.North America is expected to retain it’s leading position in the global pharmaceuticals market with market share of 45.33% in 2023. 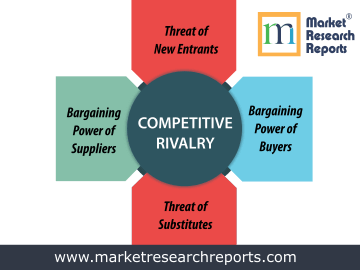 This market research report covers porter's five forces analysis of Global Pharmaceuticals market. 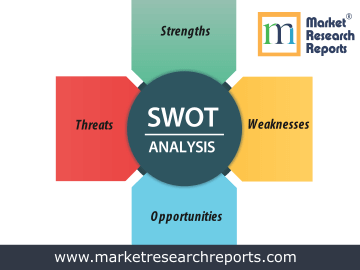 This market research report covers SWOT analysis for Global Pharmaceuticals market. 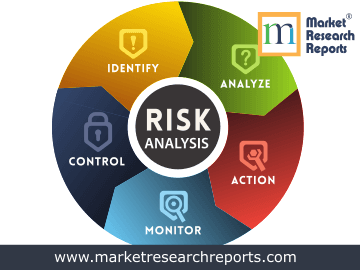 This market research report covers current and future business risk analysis for Global Pharmaceuticals market. Although human healthcare is heavily regulated in many parts of the world and often –margin sector driven by technological innovation, ever-increasing demand and well-developed funding and public sector support. It is not possible that breakthrough products in this sector to experience explosive double-digit and triple-digit growth in their early years and even products and services that are mere commodities in other markets find premium value and clinical applications. Despite this complex regulatory, technological and financial dynamics of this sector make it the most challenging for manufacturers and marketers. The Pharma industry encompasses a wide range of enterprise including large drug multi-nationals called as Big-Pharma, mid-seized specialty pharmaceutical companies, generic manufacturers, virtual pharmas, small biotechnology and biopharmaceutical firms and all the various ancillary support and service companies that provide contract research, regulatory guidance, contract sales and manufacturing technologies and raw materials. Although growth has been not as robust as expected in the recent years; mainly due to price pressures, uncertainty in regulatory / reform measures and weak drug pipelines. The demand for healthcare still exists amidst the demographic and structural drivers due to the continued aging of global population and the increasing sophistication and wealth of developing nations. Shifting epidemiology and outbreaks along with new challenges in chronic disease like cancer, heart disease, degenerative diseases and incurable diseases will continue to impel the need for discovery of better medicines. Reports here also throw light on new technology and new-understanding in drug delivery in the fields of genomics, proteomics and molecular biology promising better therapeutics and revival of health. Global pharmaceutical market value is expected to expand to $975+ billion by 2013. The forecasting indicates pharmaceutical market growth of about 4 - 6% in 2011-2012. The established markets, including the US, UK, and Japan, together account for 30% of the global demand for pharmaceutical recipients. The global pharmaceutical market sales is expected to grow at a 4 - 7% compound annual growth rate (CAGR) through 2013. Different regions of the world will influence the pharmaceutical industry trends in different ways. China’s pharmaceutical market will continue to grow at a 20+ % annually, and will contribute 21% of overall global growth through 2013. India - 3rd Largest Producer of Pharmaceuticals Across the World- is already a US$ 8.2 Billion pharmaceutical market. The Indian pharmaceutical industry is further expected to grow by 10% in the year 2010. Health Care industry is one of the fastest growing industries. Global Health Care market is several trillion dollar industry, which includes Managed Health Care, Medical Equipment and Device, Biotechnology, and Health Support Services. North America is the largest segment for global health care industry. The Asian market shows future growth potential. Some of the top players in the diagnostics, medical devices, pharma and healthcare segment across the globe are Johnson & Johnson, Pfizer, GlaxoSmithKline, Novartis, Sanofi, AstraZeneca, Abbott Laboratories, Merck & Co,, Bayer Healthcare, Eli Lilly, Bristol-Myers Squbb and 3M Pharmaceuticals. Johnson & Johnson employs close to around 118,700 employees followed by GlaxoSmithKline 99,003 employees.